BEFORE HE COULD FORGE A BAND OF ELITE WARRIORS... HE HAD TO BECOME ONE HIMSELF. Yet it is Webb's distinguished second career as a lead instructor for the shadowy "sniper cell" and Course Manager of the Navy SEAL Sniper Program that trained some of America's finest and deadliest warriors-including Marcus Luttrell and Chris Kyle-that makes his story so compelling. Luttrell credits Webb's training with his own survival during the ill-fated 2005 Operation Redwing in Afghanistan*. * Kyle went on to become the U.S. military's top marksman, with more than 150 confirmed kills. What an amazing book. Brandon touched on the most important things in his life and all about excellence! Awesome book, hard to put down, a great insight into the world of the SEALS! Great read. 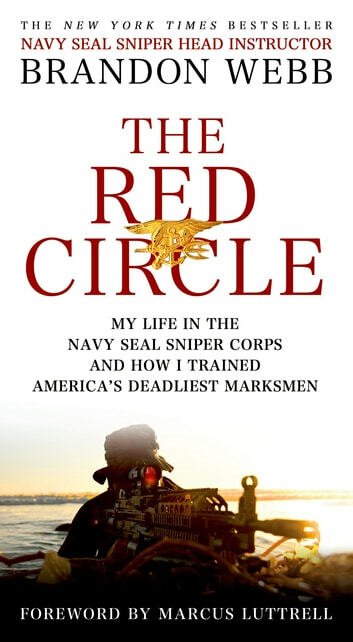 One of the better SEAL autobiographies next to Chris Kyle's.